More pictures and details under the cut. 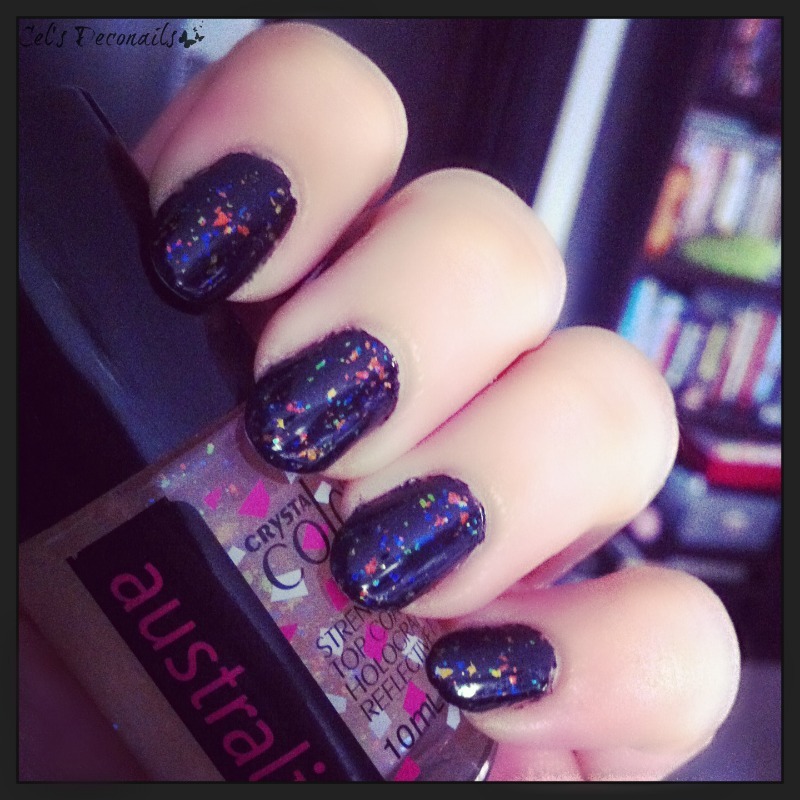 Starting with my nails of last week I am wearing Australis Speck-tacular (a beautiful flakie that I got from my dear 'Chelle) over black. 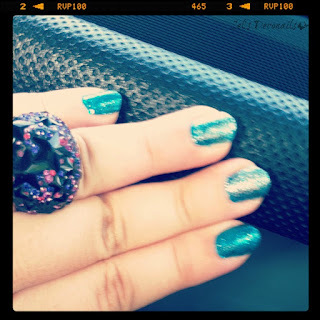 China Glaze is one of my favourite nail polish brands. Here I am wearing Razzle me Dazzle me over black. 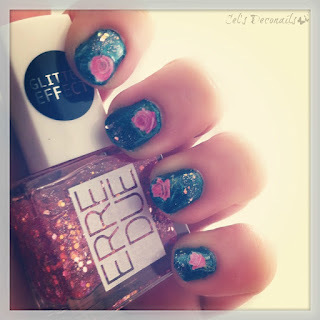 A few weeks ago I took part in a spring bazaar (post about this coming soon) so I did rose themed nail art to match the occasion. My base is China Glaze Watermelon Rind and I also used Glitter Effect in pink by Erre Due. Holographic nails using Estessimo TiNS Bon Bon Savon and Seductive Amethyst. 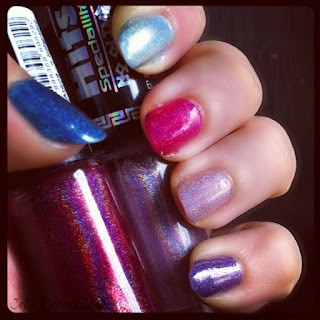 Holographic skittle nails using HITS no Olimpo nail polishes. 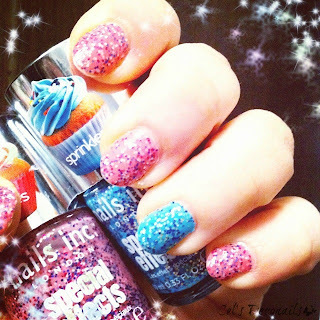 And last but not least, cupcake themed nails using Nails Inc sprinkles special effects in Topping Lane (pink) and Pudding Lane (blue). 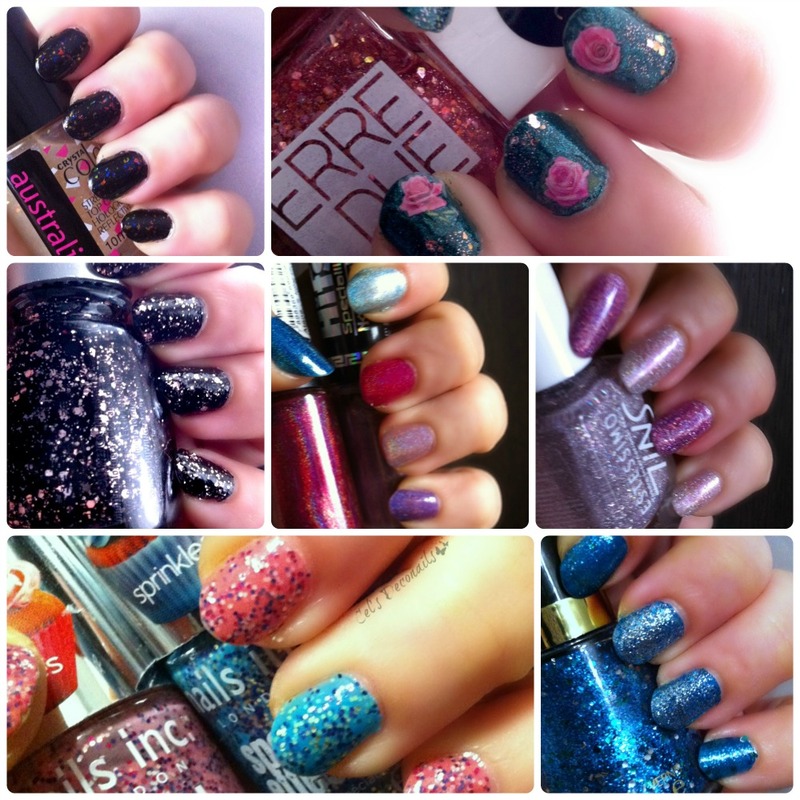 Do you own any of these dear readers? What are you wearing on your nails as we speak? wow, every single mani is amazing! !